Hi guys! I hope everyone had a fabulous Christmas and holiday season. If you didn't notice, I took a bit of a break after finals and up to Christmas because let's be honest... I felt like I needed it! I'm so excited to be back with more posts and also share with you that... I got a NEW CAMERA. This has been long awaited but my sweet parents got me a DSLR for Christmas this year and I couldn't be more excited! SO, I hope you enjoy my new and improved photos in the New Year. For today's post, I'm sharing some of my favorite beauty products that I've loved all throughout 2017. These aren't all new products by any means, but they're products that I've been reaching for this year that are absolutely amazing! 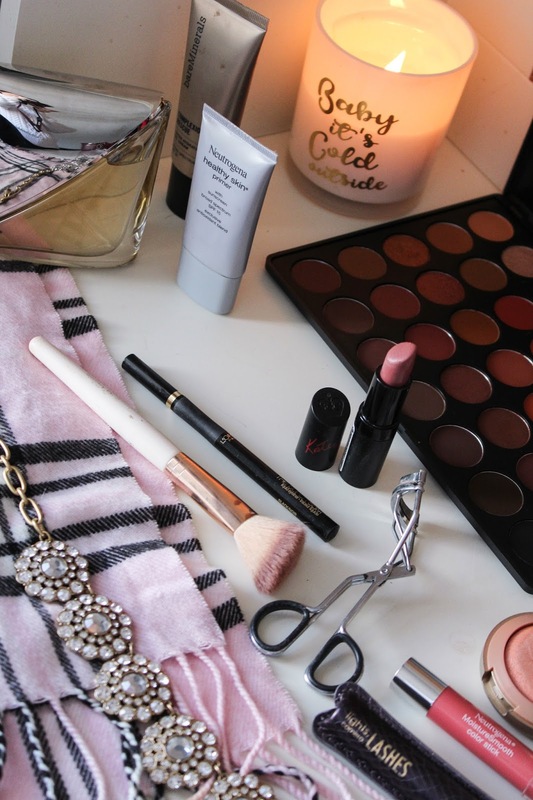 I fell in love with so many great beauty products this year. I also had a bit of a shift in my makeup style - in fact, I started wearing makeup A LOT less this year. While I adore makeup, one of my goals for 2017 was to wear it less often and wear less of it. I fell in love with a lot of really simple products, but also a few higher end things. 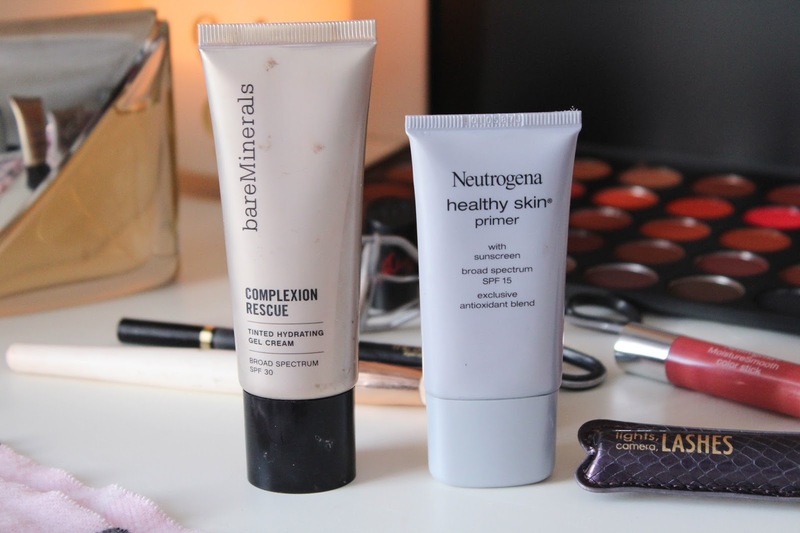 BareMinerals Complexion Rescue Tinted Hydrating Gel Cream // That's a mouthful, huh? As I said, I tried to go a bit more natural this year. My absolute favorite product discovery of the year was this simple tinted gel cream foundation that gives you the most natural, pretty glow. Neutrogena Healthy Skin Primer // I've always had trouble finding primers that I actually felt like did something. I discovered this one by Neutrogena this year and I've completely fallen in love with it. It helps my makeup last and creates a really nice and smooth base for your makeup. I even throw it on sometimes when I'm not wearing any makeup to smooth my skin a bit. 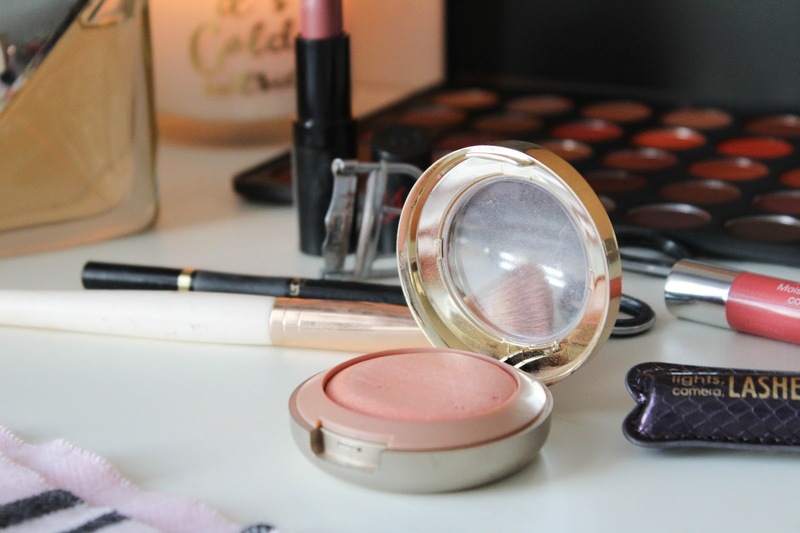 Milani Baked Blush in Luminoso // Okay, this one is an old favorite, but I just love it so much that I continue to use it almost everyday that I wear makeup. The blush is the perfect peachy pink color that adds just a little bit of glow to the cheeks without making you look like a sparkle princess. 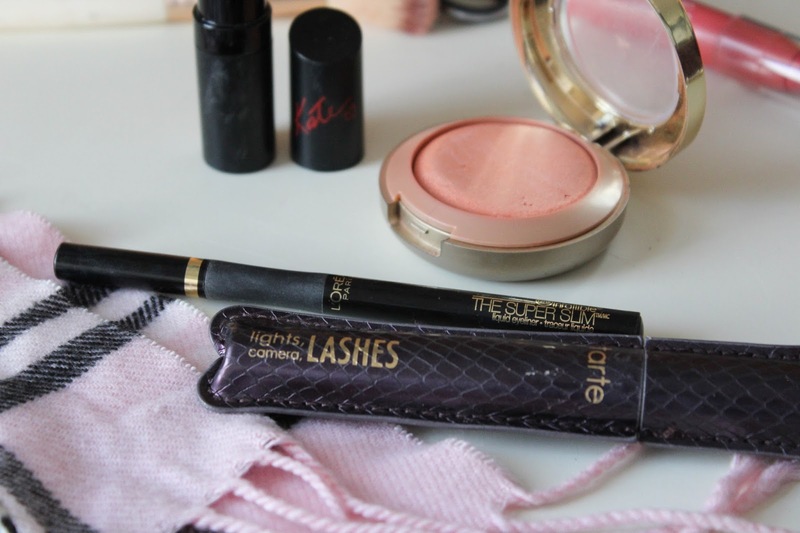 Tarte Lights, Camera, Lashes Mascara // This mascara has the strangest/cutest packaging ever. I've never seen any mascara like it! It adds a ton of volume and length to my lashes and since I don't usually wear eyeliner on a daily basis to make my lash line look thicker, I LOVE the look of this mascara. L'Oreal Infallible Liquid Liner // I used to wear liquid liner all the time in high school, but since coming to college, I got tired of spending so much time on it (let alone makeup at all) in the morning. I stopped wearing it, but I wanted to purchase a liquid liner to wear for special occasions when I wanted my makeup to look extra fancy. A friend recommended this liner to me and said it was super easy to apply and virtually impossible to mess up. She was completely right! It's a fabulous liquid liner to have because it allows you to quickly apply a sharp wing to your eyes. Morphe 3502 Palette // I seriously DIE over this palette. My boyfriend got it for me for Christmas (I know... Just a few days ago, but somehow in just a few days it has made it into my 2017 beauty favorites. The colors are my absolute favorites because they're all very bronzy colors perfect for creating both simple and more complex eyeshadow looks. I seriously feel like everyone needs a natural palette like this! Rimmel Kate Moss 08 // This is my FAVE everyday lipstick. I've absolutely fallen in love with it this year. The formula is so creamy and lasts a long time of the lips. I would definitely recommend this one if you're looking for a great lipstick... Plus it's SOOO affordable! Calvin Klein Reveal // My boyfriend got me this perfume for our 4 year anniversary a few months ago and I'm totally obsessed! My favorite YouTuber, Stephanie Ledda, recommended this perfume and without even smelling it I decided I wanted it. I usually wouldn't go for a perfume that I'd never smelled before, but something just drew me to it. I finally smelled it when I opened the gift and I love love love love the scent. It's definitely become one of my all time favorite perfumes! What were some of your fave beauty items this year? 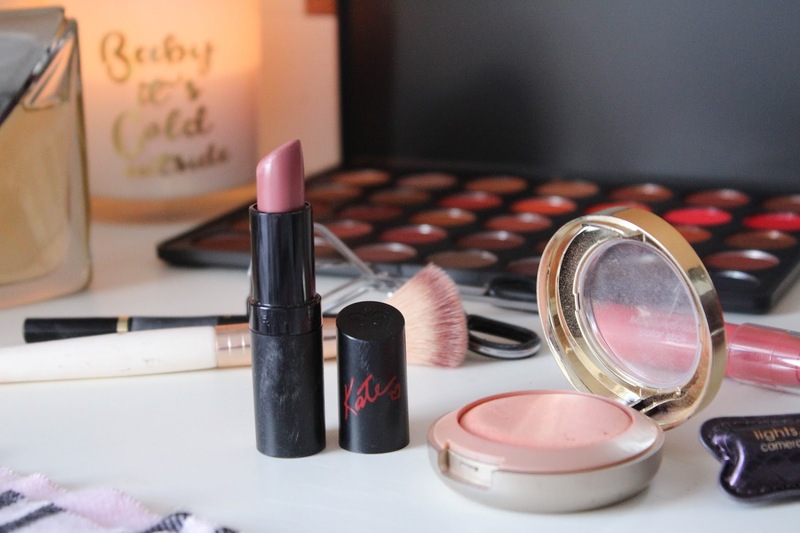 The Rimmel Kate Moss lipsticks are still some of my favorites, I can't believe how nice they are for the price! I've been loving the Maybelline Fit Me matte and poreless foundation and concealer this year...they're my holy grail! 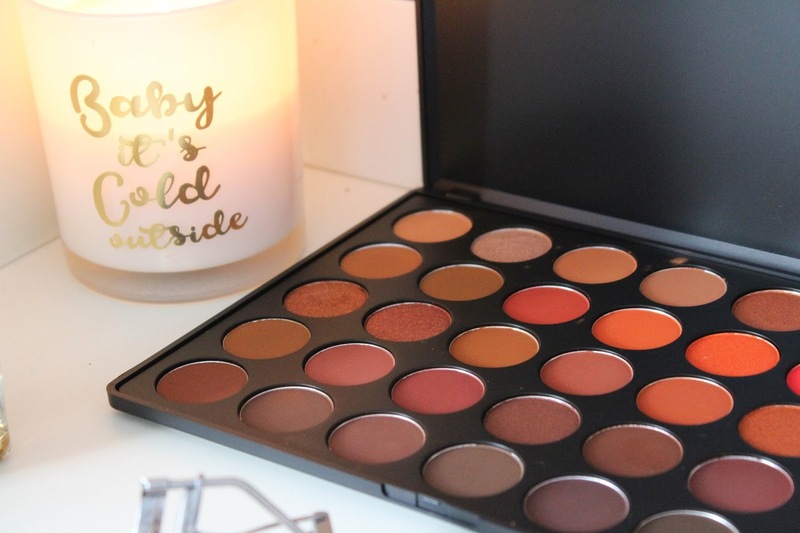 I also love my Morphe palette, the colors are so pretty for creating neutral looks!! I used to be obsessed with Maybelline matte and poreless! My skin sadly changed a bit and it got too drying :/ I wish I could still use it though! Thanks for the round-up, I might actually try some of these myself :) We don't get all of these products in Poland and I personally only go for cruealty free options but still very good post. Thanks!